Klopp offers his thoughts on Benteke asking price - insists there will be no "presents"
Jurgen Klopp has insisted no club will be able to buy Christian Benteke for a discounted price this summer. We’ve already rejected a £26.5 million bid from Crystal Palace, and the Echo are reporting that he will not be allowed to depart unless someone pays the £32.5 million asking price in full. “If there are clubs that want a real striker from us, they have to make real offers and not hope for anything else. We’ll find solutions,” said the boss. It’s unclear what the “solutions” could be… Are we prepared to send him out on loan for the season? Doing so could go one of two ways — either the Belgian has a great season and we can demand even more cash next summer, or he struggles again and his value drops significantly. “Christian is still a great striker. But we have a few more strikers at this moment and it makes more sense to give them match time,” continued Klopp. “But if there are clubs that want a striker from us they have to make good offers otherwise we will find solutions. That’s how transfers are. 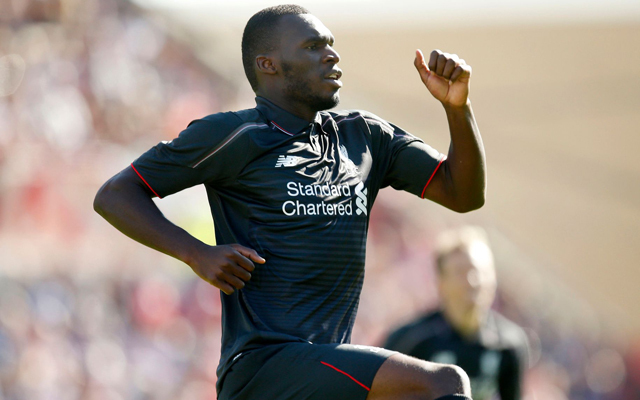 Benteke has not featured too much in the pre-season. There is clearly interest in his services, and we wouldn’t be too surprised if we end up accepting slightly less than the asking price at crunch time.